Exhibited on The Walls of the World Gallery in Penne, Italy during December 2016 and January 2017. The ‘Walls of the World’ galleries occupy space on walls in cities throughout the world. 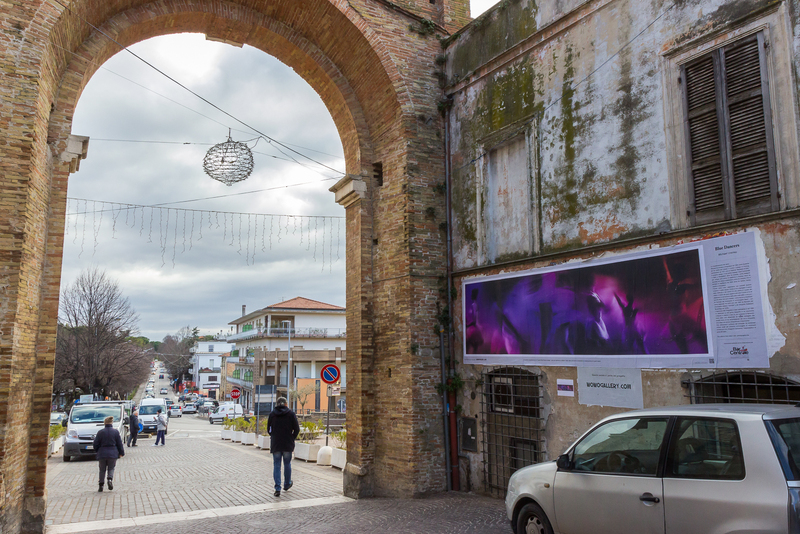 My artist brother Paul and photographer friend Annalisa have both exhibited on this wall in Penne, Abruzzo, Italy and they suggested I submit an idea for consideration. It was accepted and printed in December 2016 and pasted on the wall over the Christmas and New Year period. The wall is well positioned at the main entrance to the town – a major thoroughfare and very busy over the Christmas period. The text on the poster that supports the photograph is written in Italian. Below is the English version. Michael first started taking photographs in 1965 when he was a student at school and continued doing so when at the London College of Printing, graduating in 1971 with a Bachelor of Arts diploma in graphic design. His immediate employment after college was in Düsseldorf, where he worked as a designer for five years before moving to Sydney, where he worked in advertising as an Art Director until returning to England in 2004 and started photographing again.